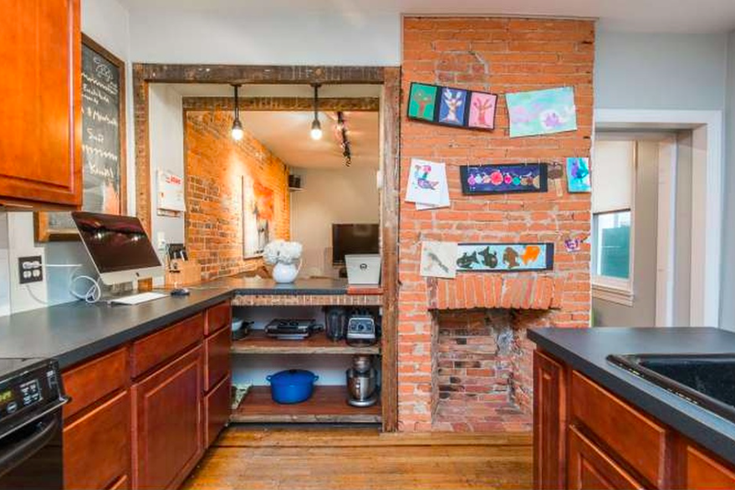 The kitchen of this Northern Liberties home combines traditional and modern touches. Have you ever spotted a house that seems to perfectly encapsulate the neighborhood it’s in? 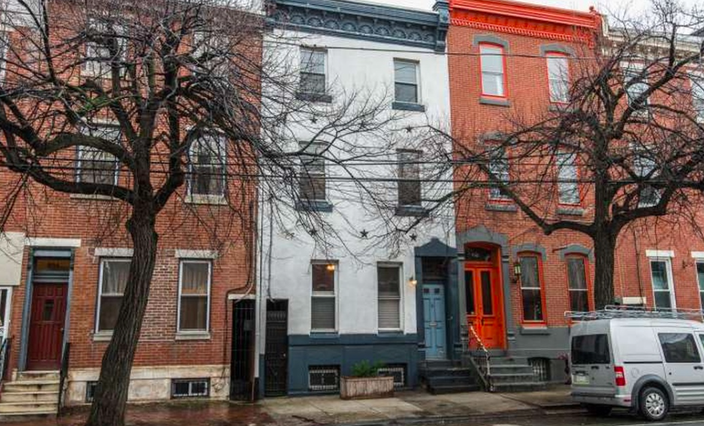 This three-story Victorian townhouse does just that, capturing the cool, historic, just-a-tad-hipster vibe of Philadelphia’s beloved NoLibs. “It's part of the culture and part of the history of that neighborhood,” said listing agent Danielle Py-Salas. 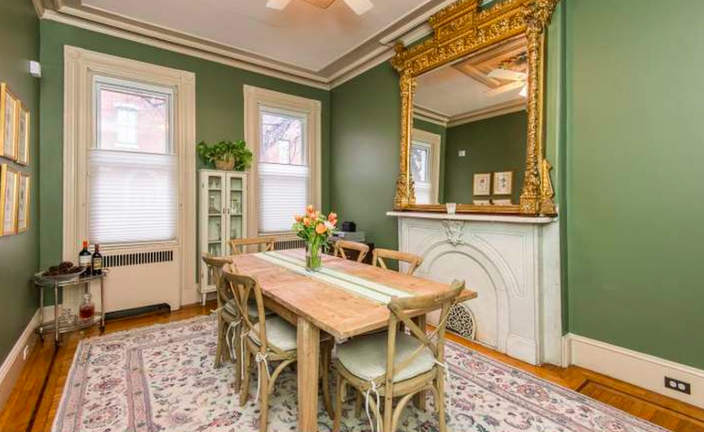 This three-story Victorian townhouse fits in perfectly in the Northern Liberties neighborhood. She said that kids loved running up and down the staircases and exploring the house’s three levels. It’s a home that invites exploration, with beautiful details waiting to surprise guests. A brick wall warms up the atmosphere in the living room. 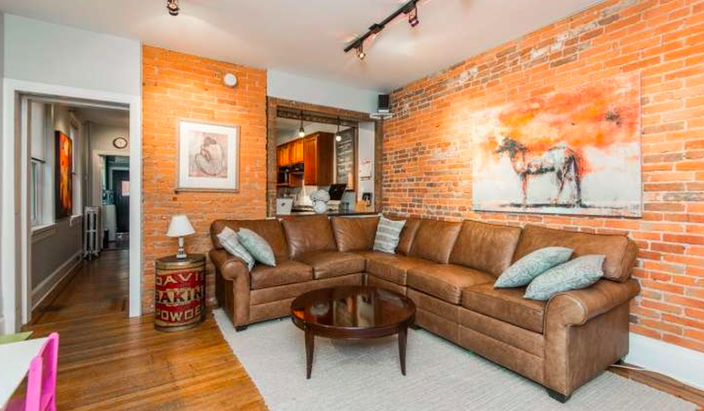 Take, for example, the exposed brick that pops up in the living room, the inlaid ceiling in the stately dining room or the brick fireplace in the kitchen. The enclosed, outdoor patio features raised flower beds and a cherry tree that blossoms beautifully in the spring. The dining room features a marble fireplace and inlaid ceiling. In a neighborhood where chic new condo projects are sprouting up faster than spring flowers, this home stands out for its own original charm. 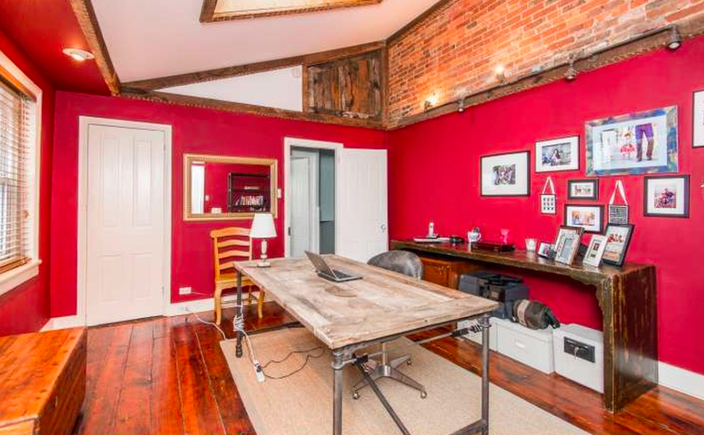 One of the home's six bedrooms can be used as an office.